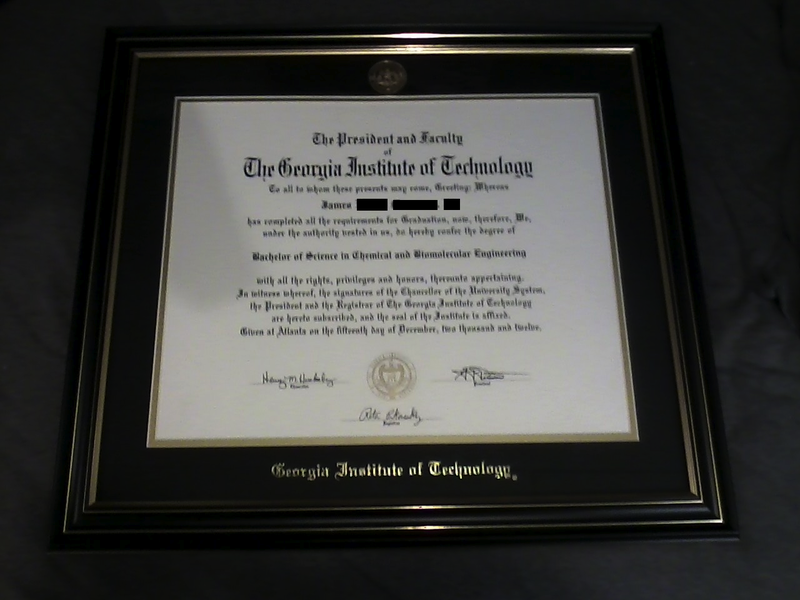 Georgia Tech sent me my diploma on Saturday, so I drove down to Tech today to get a frame for it. Georgia Tech sent me my diploma on Saturday, so I drove down to Tech today to get a frame for it. Here it is framed. How is this related? I saw two uncommon Audis on the way home, a W12 A8 and an R8.